Christmas Gift Ideas for Little Girls - The Kennedy Adventures! I’ve been a girl mom for years, so shopping for girls comes very easy for me. This list will be geared toward preschool/kindergarten aged girls – somewhere in the four to six year old range. Many of these gifts may work for boys as well. I bought Rachel puzzles when she was little, and she never cared much for them. As she’s gotten older, and her brothers are puzzle fanatics, she’s become more interested. I’m a fan of Melissa and Doug puzzles, and my friend Kaye introduced me to Hape layer puzzles. Ravensburger puzzles get excellent reviews as well. You’ll occasionally be able to find puzzles on Zulilly from these quality companies. For little girls, you can’t go wrong with anything that features horses, unicorns, or ballet dancers. I intend on keeping Rachel little as long as possible. That includes letting her play with baby dolls as long as she wants. She got a Baby Alive last year, and loves it. This year, she wants babies she can bathe. I think a Scrub a Dub Baby will do the trick. I haven’t mentioned these to Rachel yet, but if you’re ready for a big step, American Girl dolls are amazing. They are beautiful, well made, and even have their own stores, complete with hair salons and hospitals. We took a trip to Chicago when Abigail was younger, and stopped in the American Girl Store. I was blown away at the tea parties, and little girls carrying dolls around with them, complete with matching outfits. Awesome! 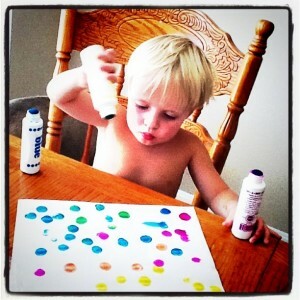 All of my children love art supplies, from the three year olds, all the way up to the 16 year old. You can’t go wrong with new coloring books, new crayons or markers. We love Dover books for special occasions, Kumon workbooks for cutting practice, and Do a Dot Markers. 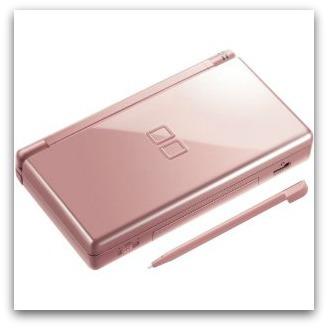 Rachel loves her Pink Nintendo DS, especially while on trips. She does a decent job of keeping up with everything. The only complaint that I have is that the games are teeny tiny and run around $20 each. Proceed with caution. Rachel’s favorite DS games are Dora Puppy, Tangled, Dora Saves the Snow Princess and Zhu Zhu Pets. If Rachel could tolerate getting just ONE gift under the tree, I’d angle for an iPod touch. We have a million games(many are free! ), and they can’t be lost in the car. I’m thrilled that we’ve finally reached the stage of board games with Rachel. We already have Whack a Mole and Operation, and I’m planning on having Connect Four under the tree as well. For a unique twist, I’m putting Zimbbos and Pengaloo on our wish list as well. 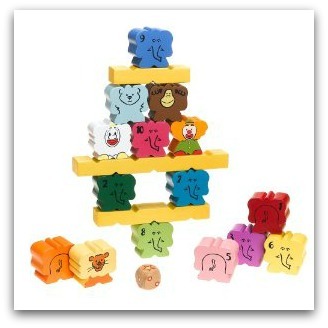 Zimbbos is like a math Jenga for the preschool set, while Pengaloo is a matching color/memory game. As Rachel is getting older, she enjoys books that are a little more advanced. We’ve moved into longer books, and I take a chapter (or two) at bedtime. Even the boys listen to part of the stories. 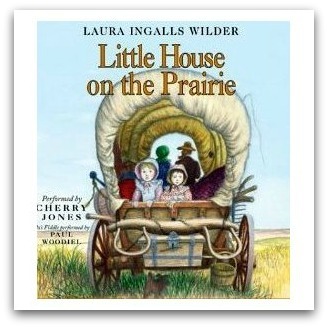 Right now, we’re entranced with Little House on the Prairie. We’ve also listened to an audio version of The Little Princess, and I’d love to try The Secret Garden. Every little girl loves dressing up like a princess! Costumes are a great gift idea, no matter what time of year. 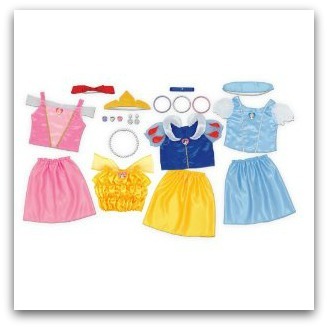 You can buy a pre-made dress up set, or if you have the time, scour your local thrift store for dresses, hats and shoes. Package them in a Rubbermaid tote, and you’re ready to go! We don’t have cable, but we do watch a lot of movies, especially on long car rides. We have some favorites that we need to add to our collection this Christmas. 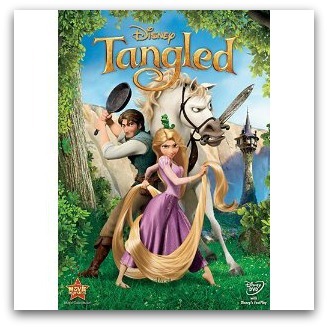 We’re hoping for Tangled, Elf, The Lion King and Beauty and the Beast. My friend Angie from The Jammie Girl reminded me of how cool science stuff can be for gifts. Since we’re a homeschooling family, this is right up my alley. 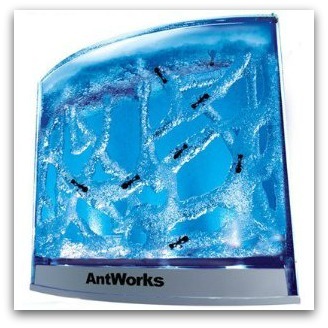 My favorites are an Ant Farm, Butterfly Garden, Ladybug Land and Instant Snow. 10. Memberships to Zoos, Museums and More. We purchase a family zoo membership every year. When Abigail was small, I also added the Louisville Science Center as well. Think about zoos, museums, or dance/gymnastics classes for present ideas. What about you? What favorite girl gift idea am I missing? Be sure and leave your ideas in the comments. Don’t miss out on gift ideas for men and gift ideas for women this week. Stay tuned for ideas for boys and babies later this week.